Do you want to learn how to get found on LinkedIn, stay connected in a credible way and even generate qualified leads on LinkedIn (without spamming people)? 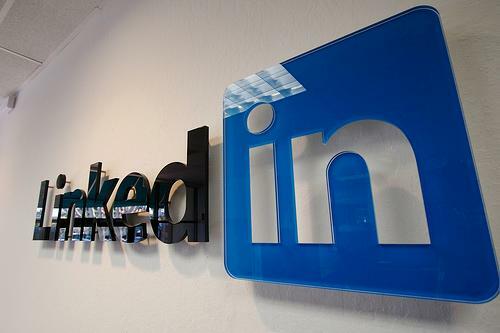 New Incite presents a new workshop, Mastering LinkedIn: A Practical Approach on Friday January 23, 2015, in Los Angeles. At the two-hour workshop, you will learn how to improve your LinkedIn profile to get found and get business, how to use the new, free, blogging feature on LinkedIn, how to join groups and participate in discussions and much more. For more details, please visit the workshop page on our website. The Mastering LinkedIn workshop is designed for business owners and professionals who want a practical approach for generating results on LinkedIn with a minimum of time and effort. The workshop is limited to 15 people to ensure an intimate learning and networking environment, so reserve your spot today. Attendees are expected to have a LinkedIn profile started with their name and current work title and know how to log in to their profile. If you don’t have a LinkedIn profile or don’t remember how to log in to LinkedIn, contact Jennifer Beever at 1-818-347-4248 or by email. Jennifer Beever has been getting marketing results for clients through search engine optimization, web sites and online marketing since 1998. Her blog, the B2B Marketing Traction Blog, received national recognition when it was listed as one of 20 B2B Marketing Blogs You Need To Read and is listed on Alltop.com, a site that selects the top news sources and blogs for a given topic. Jennifer has been on LinkedIn since 2004 and has systematically and strategically optimized her profile, and connected and engaged with quality professionals all around the world. She has been asked to speak about LinkedIn to a variety of groups, including the Institute of Management Consultants, ProVisors, the Association for Strategic Planning and others. For more information about LinkedIn and the workshop, please contact Jennifer Beever from New Incite today or register on our Eventbrite page. We look forward to your increased success on LinkedIn!